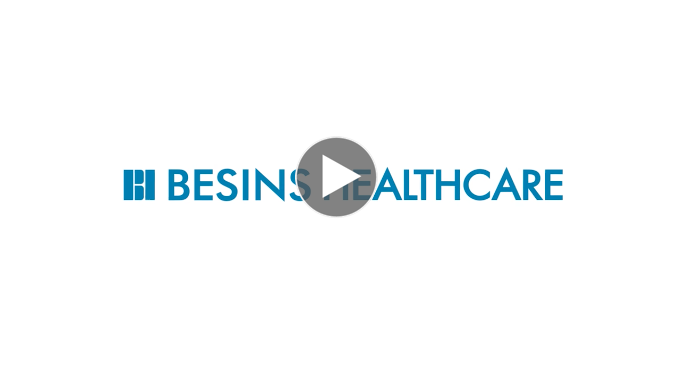 Besins Healthcare is a privately held, global pharmaceutical company headquarted in Monaco. We are a world leader in novel therapies for gynecology and andrology. We have discovered ground-breaking technologies to improve patient well-being throughout our history. We developed several hormone therapies over the years including bioavailable natural progesterone by different routes of administration for pregnant women from conception until delivery and a natural testosterone transdermal gel for testosterone deficiency syndrome. We continue to be a leader in Estradiol Replacement Therapy with the first transdermal gel marketed in Europe. Our products are trusted and prescribed by healthcare professionals in more than 100 countries throughout the world. I am proud to serve as the President and Chairman of a company founded by my great grandfather, Abel Besins in 1885. We honor his vision and that of my grandfather and father as Besins Healthcare celebrated its 130th year of business in 2015. All of us at Besins Healthcare are motivated by their legacy, investments and initiatives that evolved a single pharmacy in the heart of Paris France into a truly global organization with a presence in more than 100 world markets. As we build on that legacy, my vision is to continuously establish Besins Healthcare as a leading provider of specialized services in obstetrics, gynecology, urology and andrology. Our passion and our commitment to bringing new, unique treatment therapies to market ensure Besins Healthcare remains focused on meeting the health needs of women and men throughout their lives. Besins will grow through additions to our treatment portfolio, strong strategic partnership across the globe, interactive relationships with physicians and patients, and teams dedicated to unsurpassed customer service. It is with enthusiasm and confidence that we begin a new era of innovating for well-being.